Typed out in Notes on my iPod Touch through the course of the trip, formatted later with photos. En route to Newark. Total travel time will be something like 30 hours, with three connections, the longest leg of the trip being Detroit to Tokyo: 16 hours and 30 minutes. As we will not have window seats all the way, I have purchased seasons 1 and 2 of 30 Rock and synced as many episodes as possible to my iPod for entertainment. Thank you, Tina Fey. 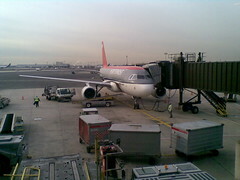 Airbus A319, Newark to Detroit. Flight delayed an hour and a half due to bad weather in Detroit. Unless the connecting flight is delayed, we may miss our connection. 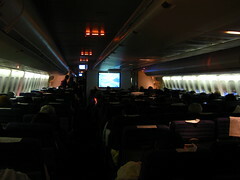 Seated, row 14, gave Amy the window. She’s enjoying watching other people’s bags go up the luggage ramp. 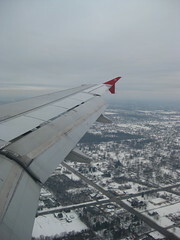 Finally in the air, over the scenic New Jersey Meadowlands, with its lovely expanses of ice and brown grass. Then, hills and rivers and patchy fields of snow. Halfway to Detroit, Amy and I listening to Weezer on her iPod through a splitter. The guy in the aisle seat has a Zune. A *Zune*. This is only the second time I’ve seen one in the wild. 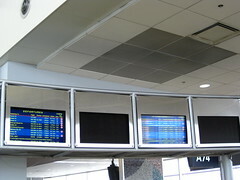 We landed in Detroit and were greeted on entering the terminal with a set of broken flight information screens, blank or buzzing with static. Another set of screens down the halls were working, however, and they confirmed our worst fear: we had missed NW 11, our connecting flight to Tokyo. The next flight out, NW 25, would be boarding in minutes. I had gotten on the phone as soon as we had touched the ground, and was on hold with the Northwest International Reservations hotline as we took the airport tram, in case ground staff were unhelpful. It turned out to be unnecessary; gate agents for NW 25 were quickly able to assign us seats even as the final call for boarding was being made,, despite the flight being grossly oversold. The seats were in-between ones in different rows, but a quick trade with a kindly old Japanese lady got us together by a window. My reservations call on hold turned into a query about the transfer of our bags to the new flight, and after an eight minute wait the NWA rep assured me that our bags would be loaded onto the new flight. We shall see how that bears out. NW 25 took off with blessed punctuality despite the snow and ice plaguing the area. As an added bonus, it turns out the flight will be only 12 hours long rather than the 16 I had expected. Sometime around the halfway point time started going faster, with some help from 1st season episodes of 30 Rock and a few inflight movies: Miss Pettigrew Lives For a Day, Bottle Shock, and WALL-E.
Amy has been enjoying the iPod Touch I gave her for Christmas, with a few free gaming apps to help pass the time. Out the window, a lovely Arctic landscape passes below, ice and tundra lit by the amber light of a sunset that never fades to night. I experimented a bit with a few time lapse videos of the sun and ice, but they came out a bit bumpy. Some fratboy type guy in an aisle seat keeps standing up in front if the screen to get stuff in his carryon and talk to his mates, casually blocking other passengers from watching WALL-E. The funny thing is, he fancies it rather stylish to wear his neck pilow while swaggering about the cabin, so he has a comical green yoke acting like some kind of over-swollen popped collar. It’s even funnier in silhouette against the screen. 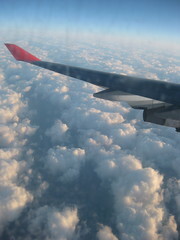 Just a couple more hours to landing. “Breakfast” is about to be served. Outside, the sun is out again, and icebergs dot the sea below. We had a good view of Mt. 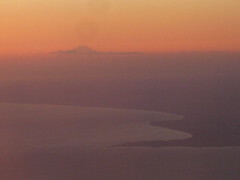 Fuji and the sunset while in a holding pattern on approach to Narita. Transfer at Narita was painless, the security quick and the airport easy to navigate, even through the surreal daze following a long flight. Now we are halfway between Narita and Manila, on a noisy, crowded plane with much more loud talking and baby screaming and snoring than any other leg of this trip. Dinner was fish of some sort. 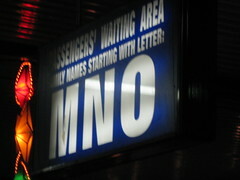 Really not looking forward to the arrival process at MNL. MNL arrival was surprisingly painless. And our bags made it through! Just waiting for Mom to pick us up now. This is a really nice hotel room. Sleep time.